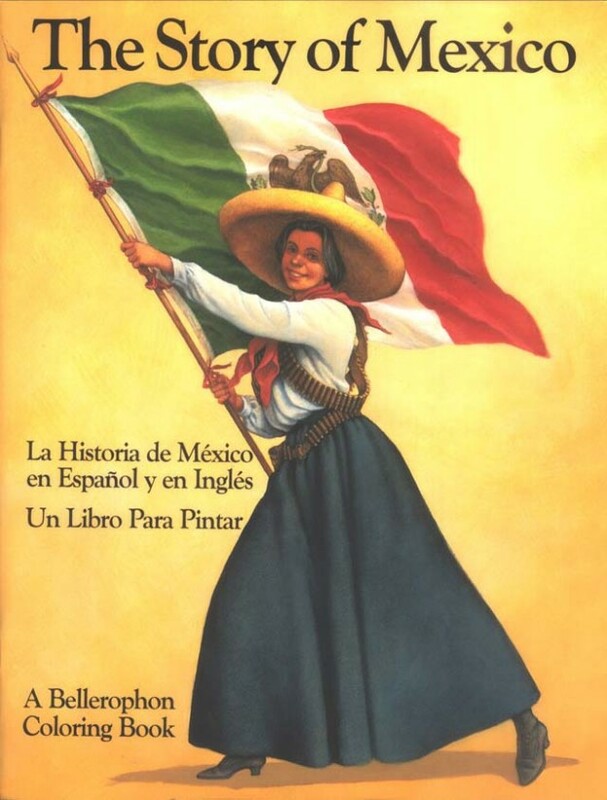 The Story of Mexico Reader and Coloring Book(A Bellerophon book) – La Historia de México en español y en inglés, Un Libro para Pintar. The History of Mexico is written in both languages with very good detailed pictures to color. Some of the illustrations include copies of works by Orozco, Siqueiros, Rivera, Kahlo, and other unnamed pre-Colombian artists. Perfect even if The Story of Mexico is bought just for the pictures. The Story of Mexico is a great book for students of ANY age to color and of course super for the 4th -12th grade bilingual student to read and learn.